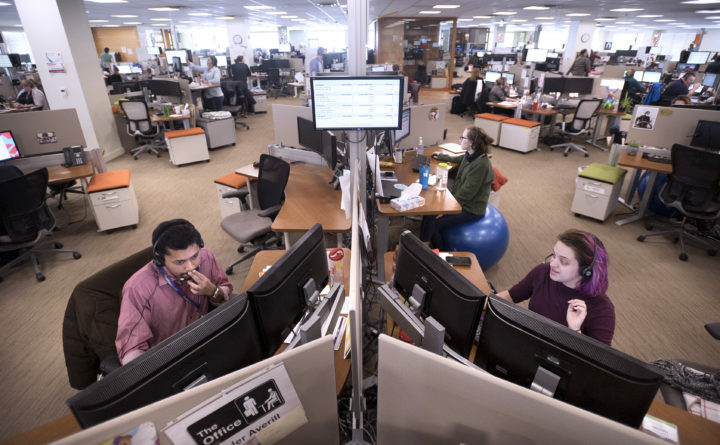 The customer support center at the athenahealth Belfast location, Feb. 12, 2018. 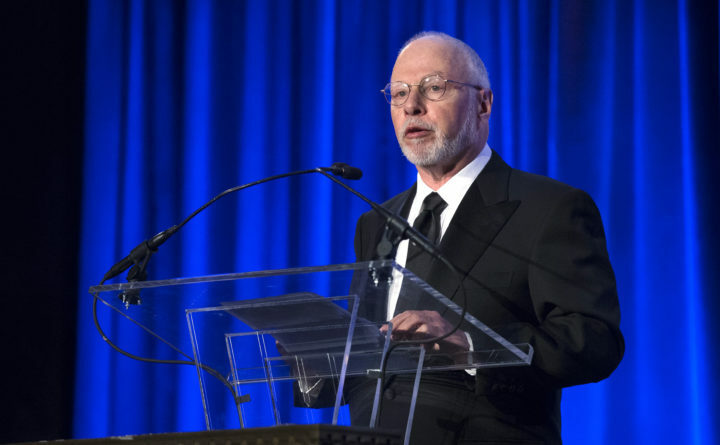 Paul Singer, founder and CEO of hedge fund Elliott Management Corporation, speaks at the Manhattan Institute for Policy Research Alexander Hamilton Award Dinner in New York, May 12, 2014. Prominent athenahealth investor Elliott Management Corp. is offering about $6.5 billion to take the medical billing software maker private after saying it has grown frustrated with the company's performance. Shares of athenahealth soared early Monday, May 7, 2018, after the shareholder outlined its proposal. The co-founder and CEO of athenahealth is stepping down, and the medical software company is exploring a potential sale. It is already weighing a buyout offer from a frustrated shareholder. The resignation of Jonathan Bush is effective immediately. It came after new allegations of questionable behavior surfaced recently about Bush, who has a summer family residence on North Haven. Athenahealth Inc. said Wednesday that Chairman Jeff Immelt, the former leader of General Electric Co., will become executive chairman. Chief Financial Officer Marc Levine will take on more responsibilities while the company searches for its next CEO. Bush, 49, was CEO, president and board member since co-founding athenahealth in 1997. Levine, meanwhile, joined the company last December after serving as chief financial officer of JDA Software Group Inc.
Athenahealth, based in Watertown, Massachusetts, makes medical record, revenue cycle and care coordination products, and delivers most of its offerings through cloud-based software. The executive’s resignation comes a few days after the New York Post reported that several years ago, Bush settled a sexual harassment claim with a former employee. His departure and the athenahealth board’s decision to consider a new path also comes a month after prominent investor Elliott Management Corp. said it had grown frustrated with the company’s performance, and made a bid of about $6.5 billion to take the company private. In an effort to streamline and improve performance, athenahealth laid off 500 workers in October 2017, with some of those reportedly in its Belfast customer support operation. At the time, the Belfast Chamber of Commerce said about 900 people worked at the medical billing facility, which took over the former MBNA call center in 2008. The bid, for $160 per share, is under review. Wednesday’s announcements make it more likely that athenahealth will eventually be acquired, Leerink analyst David Larsen wrote. The Elliott Management bid likely represents a floor for a deal price that could climb as high as $180 per share, SunTrust Robinson Humphrey analyst Sandy Draper said in a separate note. “With Mr. Bush stepping down … we believe it will make it easier for potential buyers to make substantial changes without having to go around him,” Draper wrote. Athenahealth shares climbed more than 6 percent to $157.45 in afternoon trading. Bangor Daily News writer Lori Valigra contributed to this report.